Everyone knows how much we love Christmas! 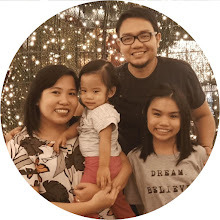 And it’s not just because of the joyful, loving, and generous spirit that we experience during the season. But the Christmas season is also the time when we also experience changes of weather. Meaning, yes malamig ang simoy ng hangin! 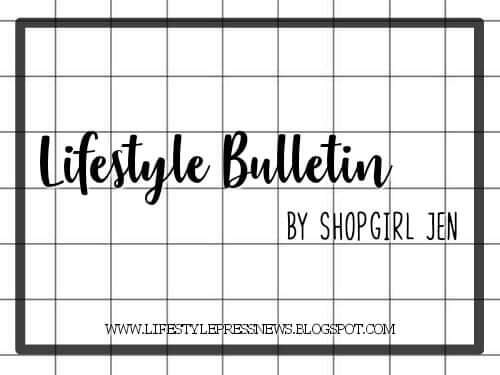 And even though it’s good to feel the cool weather, the downside is a lot are also experiencing fever, coughs, colds, and even asthma during this season. The init-lamig weather can be a trigger to asthma and other respiratory diseases. That’s why it is so important that us mommies that we take good care of our health and our loved ones’ also. 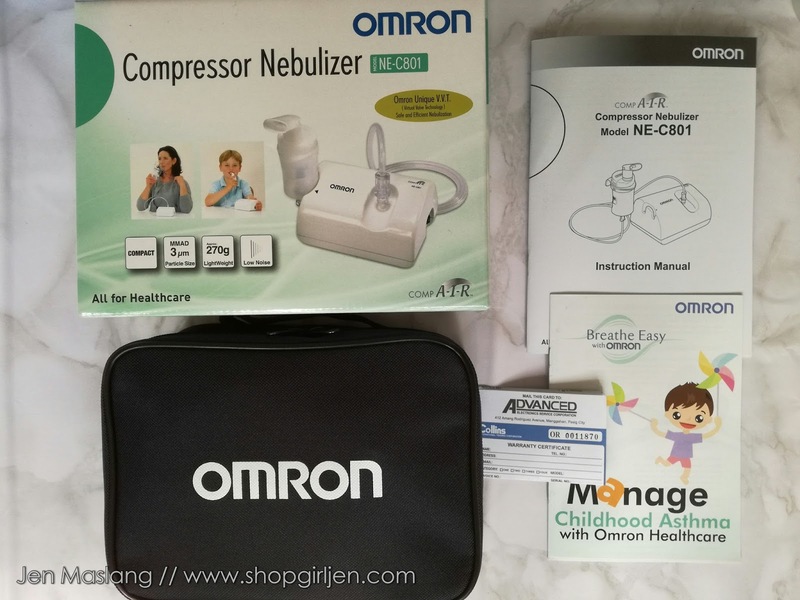 Recently, OMRON introduced us to the OMRON COMPAIR NEBULIZER NE-C801 (see my post about it here). This is OMRON’s efficient and silent everyday compressor nebulizer for treatment of lower airways respiratory diseases like asthma and other respiratory diseases. Respiratory diseases are no joke. I know that no mom would like to see their precious children wheezing and having difficulty in breathing. 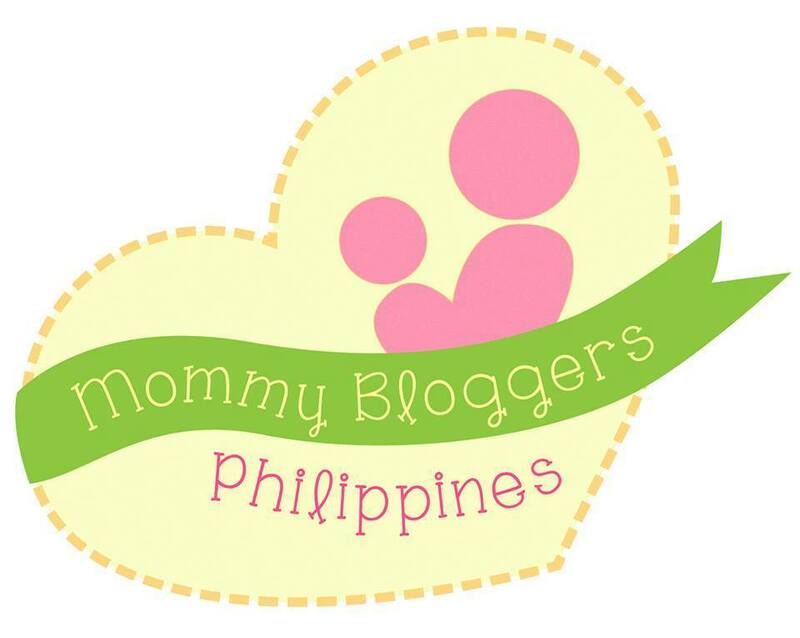 Nakakapanic talaga especially when you see your little one gasping for breath. I’m just thankful that my girls don’t have asthma. But it’s also good to know that we can also use the nebulizer for other respiratory problems. 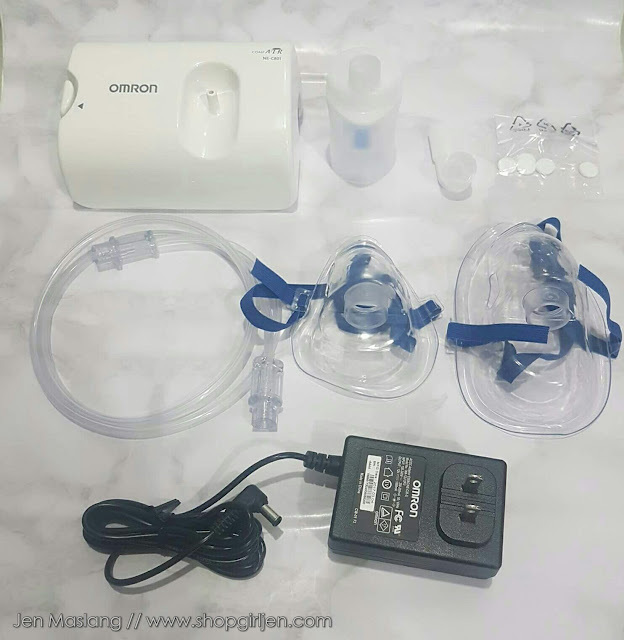 It’s definitely a plus to have your own personal nebulizer coz you may never know when you would need it. 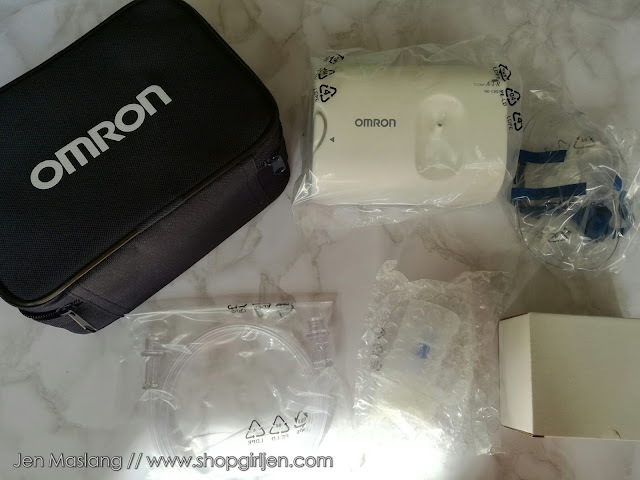 And having this particular nebulizer kit OMRON COMP AIR NEBULIZER NE-C801 would indeed be a god-send especially when you are travelling because of its compact model. When you get your very own OMRON COMP AIR NEBULIZER NE-C801 Kit, here is what you will get. OMRON also added this handy dandy MANAGE CHILDHOOD ASTHMA booklet which has a lot of important information and good advice that will be very helpful to your family especially if one of you has asthma. • CLEAN and DISINFECT the Nebulizer Kit, Mask, Mouthpiece or nosepiece BEFORE you use it. Yes even the first time after purchase! • There is a correct way to clean the nebulizer kit! • Please take note that there are WASHABLE and NONWASHABLE parts. Also there is a DURABLE PERIOD for each part of your Nebulizer. 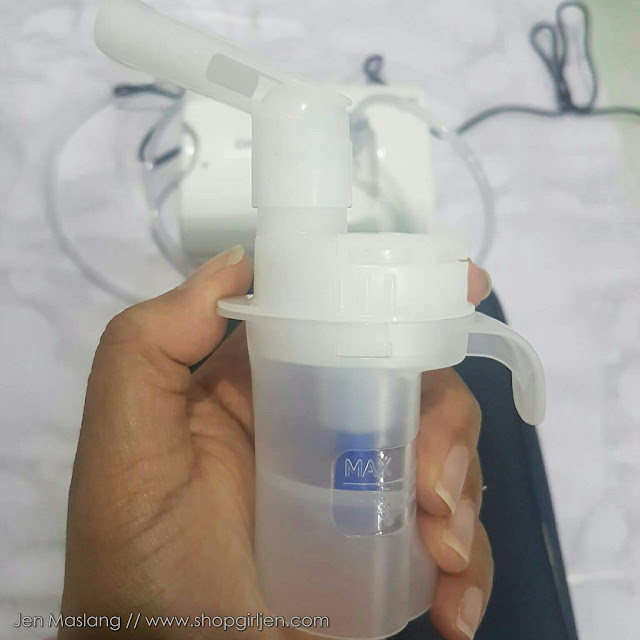 The Durable period meaning if the product is used to nebulize 2ml of medication 2 times a day for 6 minutes each time at room temperature. So knowing this, it varies depending on usage environment. When you are using the nebulizer and taking medication, DO NOT TILT the NEBULIZER KIT so that it is at an angle of greater than 45 degrees. Also, do not crease or fold the air tube. 1. Connect the AC Adapter. Make sure that power switch is turned off before inserting the power plug of the AC adapter to the connector on the compressor. Then plug AC adapter to a power outlet. 2. Add the correct amount of prescribed medication in the medication tank. 4. Attach the air tube. 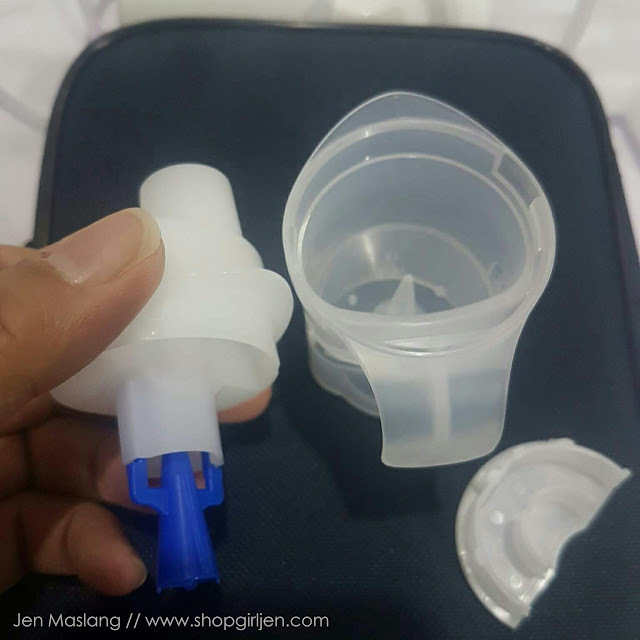 Oh and don’t forget you can also use the nebulizer kit holder as a temporary holder for the nebulizer kit. 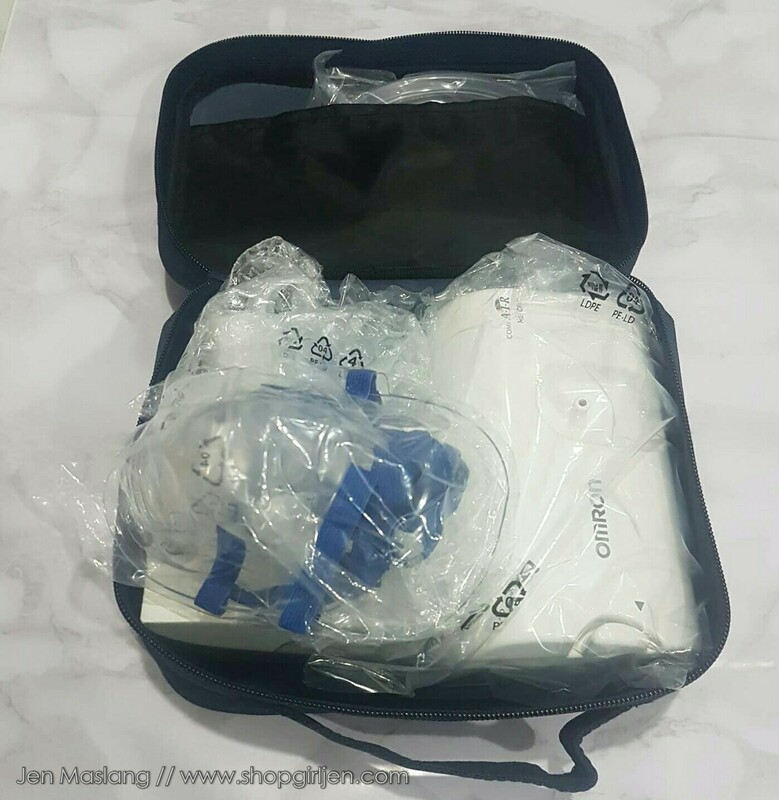 Then you’re all set to use your OMRON COMP AIR NEBULIZER NE-C801 Kit. As I have mentioned before, our family does not have asthma. 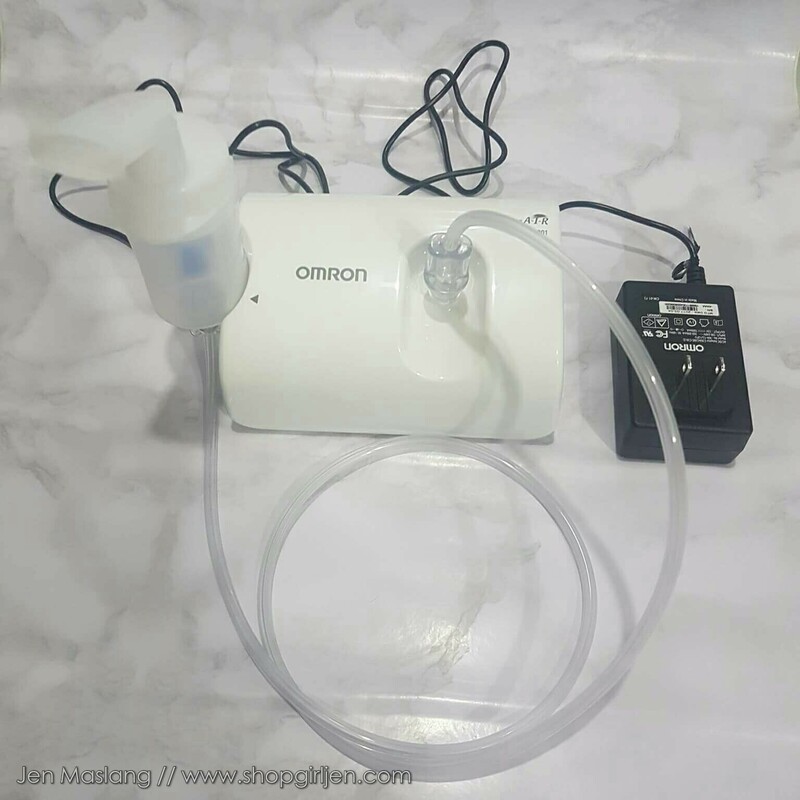 But I have a Tito who does have asthma and I let him use the OMRON COMP AIR NEBULIZER NE-C801 Kit and asked him his impressions about it. 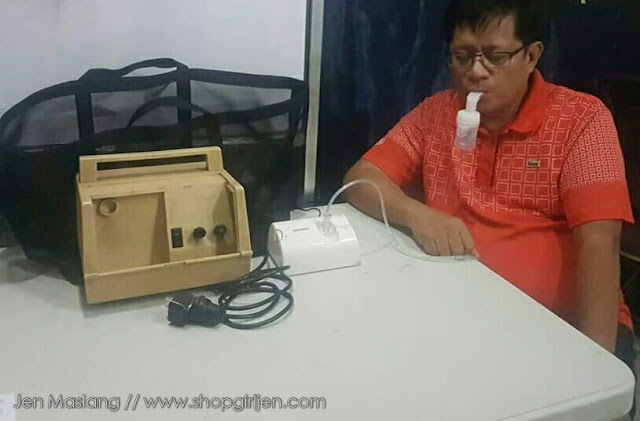 He actually has an old nebulizer – a big, bulky, and very noisy nebulizer. 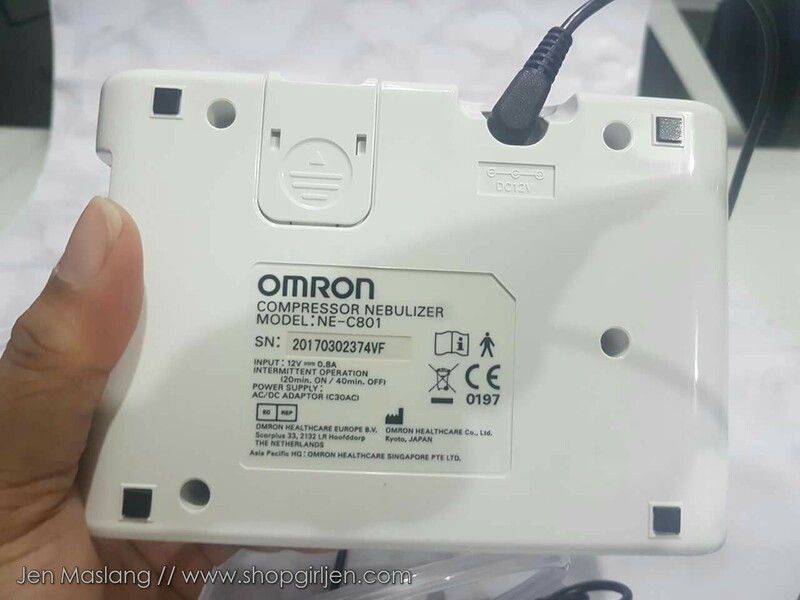 So when he saw the OMRON COMP AIR NEBULIZER NE-C801, he was quite understandably shocked to see the huge difference of the two! • IT IS QUIET. In any nebulizer, it will always emit a noise. Whether from the compressor or from the nebulizer kit itself. But what’s really amazing is that the compressor is so quiet compared to the old nebulizer that he has. It won’t create too much of a disturbance to the people around him whenever he needs to nebulize. • IT IS EFFICIENT. NO MEDICATION WASTE. He noticed that right away that the medication is delivered with less vapor nasasayang. When using his old nebulizer, he notices a lot of the medication vapor (my uncle calls it usok) escaping the mouthpiece. But with the OMRON COMP AIR NEBULIZER NE-C801 KIT, barely any of the medication was wasted. Also my uncle recommends that it’s better to use the mouthpiece than the mask. He said with the mouthpiece, there is a less percentage of the medication wasted because you immediately inhale the vapor to your mouth. • IT IS HANDY and TRAVEL FRIENDLY. 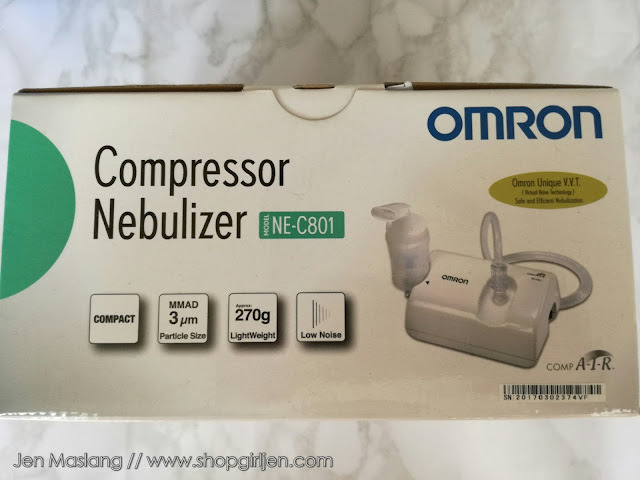 According to my Tito, just this fact alone makes the OMRON COMP AIR NEBULIZER NE-C801 worth it. It is a must have for those with asthma and need to travel a lot. It is so compact, so lightweight, and it’s not a hassle at all to bring along with you anywhere! 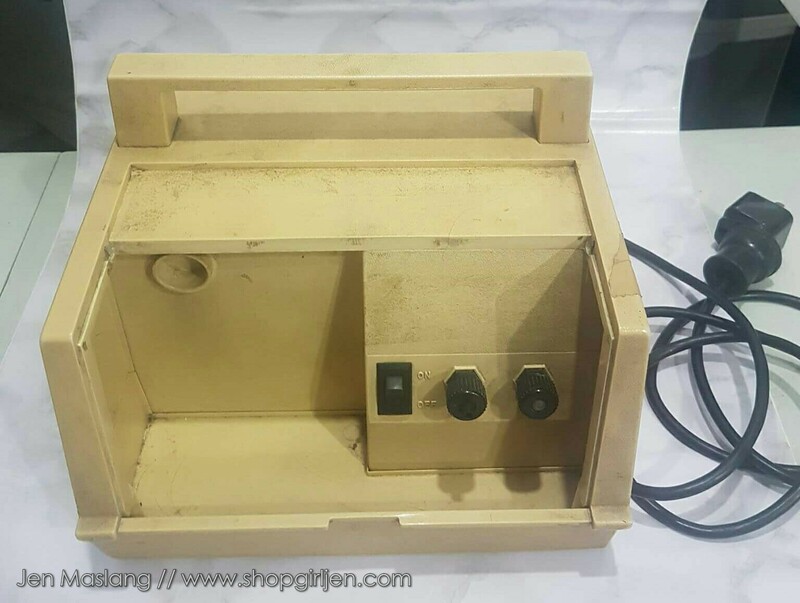 He said that the old nebulizer that he had was so heavy and such a burden to bring along. 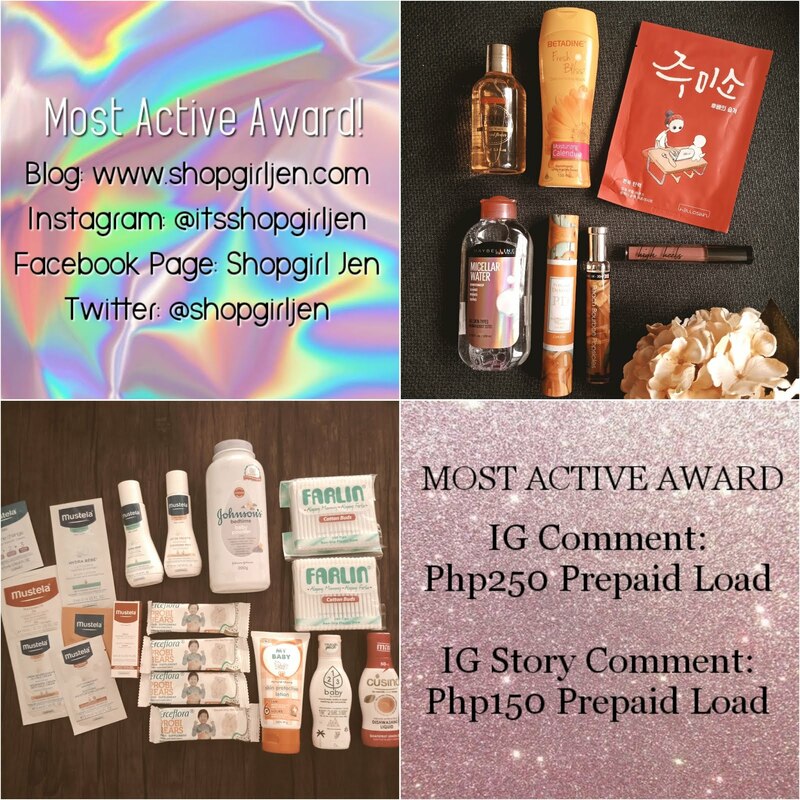 Nakakatamad dalhin and ang hirap i-store. Plus knowing that it is a product of OMRON, you know that you have a quality product right there so this is definitely a product that you can proudly recommend to others. 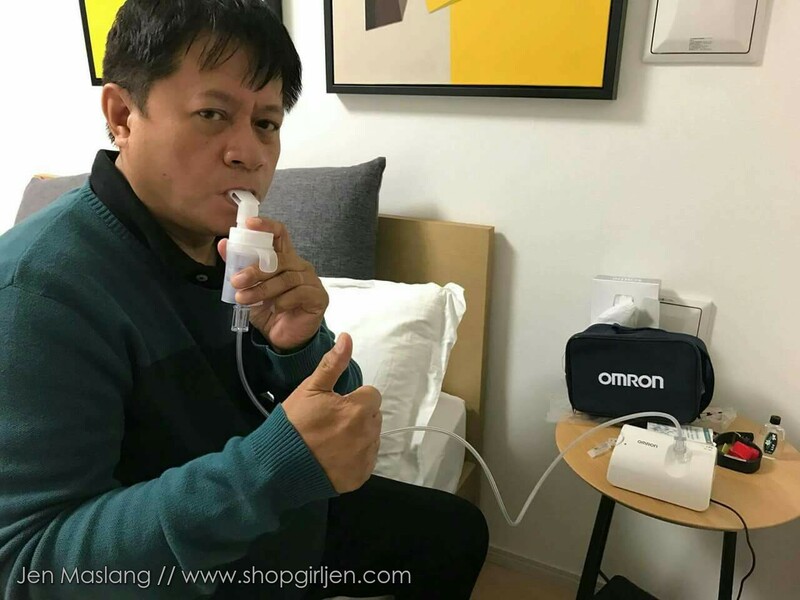 And after the initial test, my Uncle had a scheduled trip to Japan kaya I decided to let him use the OMRON COMP AIR NEBULIZER NE-C801 Kit for his trip. Can you imagine lugging the old, bulky, heavy nebulizer on a trip? Talk about inconvenience. When he returned from Japan, he said that he even used it at the airport while waiting for their flight. Ganun siya ka handy! You can use it anytime, anywhere when you're having an asthma attack. 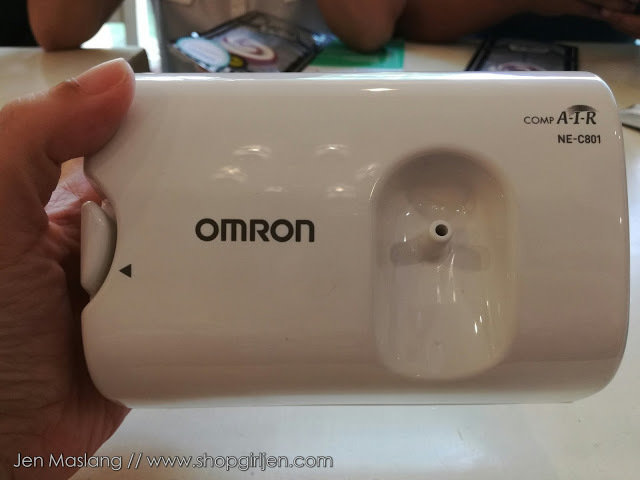 Now that he is back, he told me that he always brings the OMRON COMP AIR NEBULIZER NE-C801 Kit with him wherever he goes. He always carries it around even though he doesn’t need medication anymore. He feels better knowing that it’s always with him and he can use it anytime he needs it. 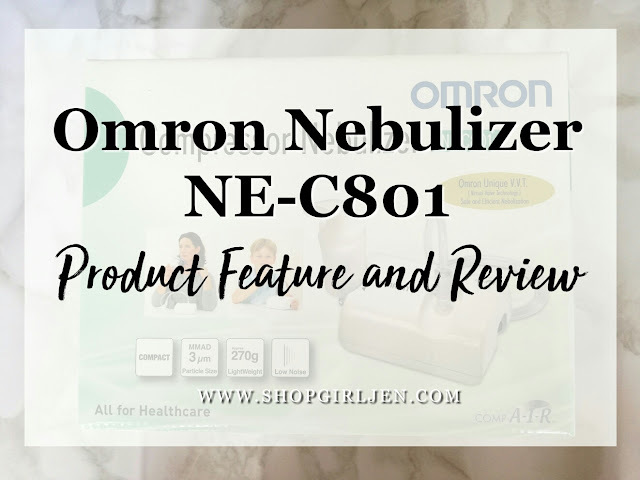 So, if you have loved ones with asthma or other respiratory diseases, having your own OMRON COMP AIR NEBULIZER NE-C801 Kit will definitely be beneficial for you. 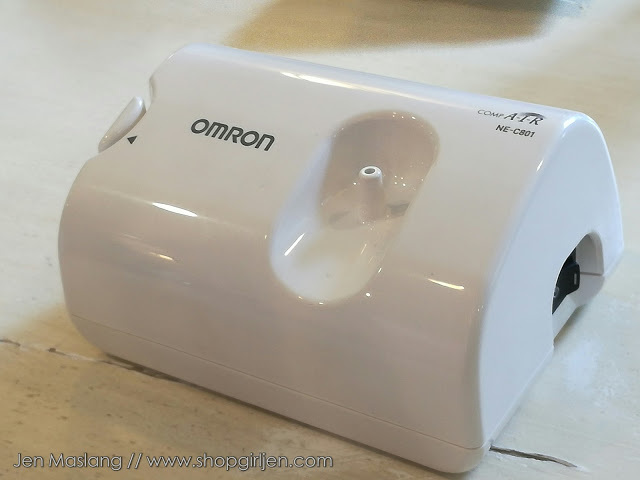 Only buy a trusted brand like Omron to take good care of you. For more information, visit www.omronhealthcare.com.ph for updates on the latest activities, promotions. You can also check out via facebook.com/OMRONHealthcarePH.